OMG, I couldn't put down this 2nd installment from Barry Lyga's I Hunt Killers. Jasper and Connie go to New York where murders are taking place and they are mimicking some of Billy Dent's and since he has escaped, Jasper is hoping to catch the killers and his father. But what he doesn't ever suspect is that there seem to be a few killers at work; each taking their instructions via throw away cell phones. When they are both sent home; Connie is forbidden to ever leave town and Jasper is now getting to know his aunt who came to take care of Jasper's grandmother while Jasper was in NY. When Jasper returns to NY; Connie is contacted by text and begins to sort out clues about Jasper's dad. When he finds out alarming information about Jaser's father; she returns to NY without her parents' permission. Things spiral out of control and the ending is crazy and I can't wait til the next book comes out; it is so not fair to have to wait to find out what happens. Read it and you WILL agree with me!!! The same sickening mind games; just when Jasper thinks he has it figured out-----he so doesn't! 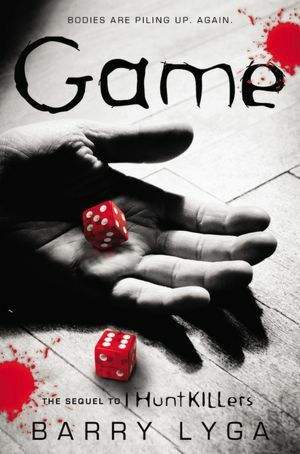 Sign into Goodreads to see if any of your friends have read Game.